Like many audio companies that emerged in the 60s and 70s, Arcam was formed when two engineering students at Cambridge University got together. They named their new company “Amplification and Recording Cambridge,” which later was shortened to Arcam. The first product was a small integrated amp called the A60, which was very successful with over 30,000 units sold. Over 40 years later, many of these integrated amps are still working. 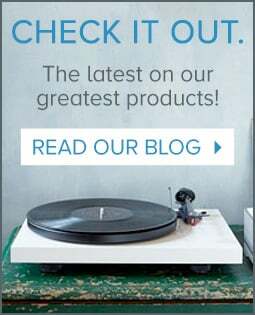 Over the years Arcam has made several different series of products; including integrated amps, home theater and stereo receivers, CD and DVD players, and several separate components. Audio Advice has been carrying Arcam since the early 90s. We remember when we first got the Alpha 9 integrated amp and connected it to some modest priced B&W speakers of the day. The sound it produced was very warm, yet powerful and clean, which was a huge contrast to some of the other integrated amps we had around at the time. We fell in love with their sound right then and have supported Arcam ever since. Today’s review is on, you guessed it, a new integrated amp from Arcam. We first heard this at an electronics show and decided right then that it was meant for our shelves! In our opinion the new SA20 is as revolutionary in sound as that first Alpha 9 we heard over 25 years ago. While it looks fairly benign on the exterior, the SA20 packs in some amplifier technology that is quite compelling. The SA20 is a two channel integrated amp designed to power a single pair of speakers. It uses an amplifier technology called Class G, which we will explain below in the tech section. You should not be lacking for inputs at all with its combination of eight covering analog, digital, and phono. For those of you with an existing home theater system and want to improve your music experience, there is even a way to add it to most home theater setups to power your main left and right speakers. On the exterior, the SA20 is clean and simple. Every input selection is just a simple button push on the front. Arcam includes a headphone jack on the front panel and an AUX input with a mini plug on the front. While the SA20 does not look like it might have some heft to it, when we first gave it the lift test, we thought it was stuck to the shelf! This small little amp tips the scales at over 20 pounds, which of course tells us, it has quite a beefy power supply under the hood. Build quality on the SA is as you would expect for this price range. You don’t get the super nice chassis mount RCA inputs you might see on a much more expensive piece, but you do get solid, gold plated connectors. The binding posts for the speaker connections also easily accepted the large spade lugs on our speaker wires, which was a good thing to see. We also like the fact that it comes in that classic Arcam dark grey color and is accented by the muted silver color on the controls. All and all it’s a classic look. Input wise, the SA20 will have most systems covered. There are five analog inputs; one of which is a moving magnet phono section. The digital side has two coax digital and one toslink. In addition, there is a preamp out for driving a second power amp if you wish to run another room, or bi-amp your main speakers. Arcam also includes an awesome feature of a home theater bypass input. This let’s you get the best of both worlds: a great home theater and a pure two channel audio system. 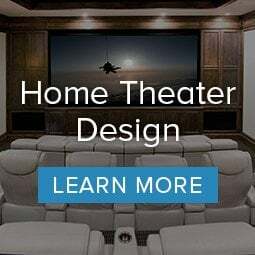 It is designed to work with a home theater receiver or processor where you have preamp outs for the left and right channels (most brands have this in their medium level and up models). What you do is connect your left and right speakers to the SA20 for a pure two channel system. You then connect the left and right preamp outs from your home theater receiver to the SA20 input you assign to be the bypass input. When you select the bypass input for home theater use, the signal passes straight through to your speakers and all of your volume is controlled by your home theater rig. When you want to relax and just listen in stereo, the signals only go through the pure sound of the Arcam SA20. Like many products today, the Arcam is designed to be energy wise as it will go into a sleep mode if it does not see music coming in. As another added intuitive feature, the SA20 will wake itself back up with a simple touch of an input or volume knob. If you plan to use the digital inputs of the SA20, you will be super impressed with the digital to analog converters (DACs) used in the Arcam. They picked a new DAC released in early 2016 by ESS Technology, their top of the line 32 bit Sabre ESS9038K2M. This DAC is now found in many, much more expensive components and is a testament to Arcam really caring about the sound. Just connect up that old CD player with its digital outs to your new SA20 and be prepared to hear nuances in your music that you have never experienced. The biggest audio feature of the SA20 is its Class G amplifier circuit. 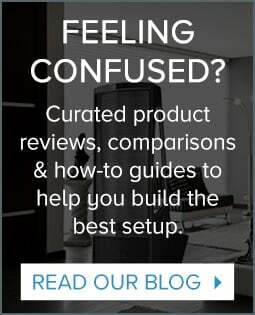 Arcam has been using Class G in their products for a few years now, but we feel this technology is not really fully understood. In an amplifier, each half of the musical waveform requires an output device. When the signal switches from one device to the other, distortion can occur. The ideal amp would have no switching distortion and the best way to do this is with a Class A design. With Class A, both sets of output devices are always on ready to go, so there is no switching distortion. Now what do you think happens when something is on all the time? It gets really hot! Massive amounts of heat sinks are required, and as a result power is pretty limited unless you wanted to build an amp that was huge in size. Mark Levinson produced an amp in the 70s that was only 25 watts per channel pure Class A, yet was almost two feet long each. Yes you needed two as it was a mono amp, but boy did they sound good! They could also serve as a space heater in the colder months. Class AB is a very popular derivative of Class A and is what you will find in most good receivers and amplifiers today. This design allows the output devices to turn on and off to keep things cooler, but uses circuitry to minimize the switching distortion. While the sound is not as totally pure as Class A, it has the drive and current you need for most speakers to perform their best. Plus with Class AB you can get lots of power in a moderately sized box. Class D is a newer design, and at first pass you might think the D stands for digital, but it actually does not. This type of design is almost 100% efficient, produces little heat, and takes up less space, so you might think it would be the ideal amp design. For some applications, like touring sound where you need thousands of watts in something portable, it is. Or on the opposite end, it allows inexpensive all-in-one systems to have a lot of power, or getting even smaller, is ideal for hearing aids. There is a big difference with Class D amps however. Most music lovers think Class D amps have a very harsh sound compared to a good Class AB amp, and we agree. We want our music to be pure and we have yet to hear a Class D amp that impressed us for purity. Enter Class G. Now, if you followed all this then you will understand that with Class A being the best, Class AB being next best, and Class D being not so great, then the logical conclusion to this naming scheme would be that Class G is pure junk! Nothing could be further from the truth, but it seems Class G is bypassed by many who come to this same conclusion. Class G was actually dreamed up by Hitachi in 1977 with the first Class G amp, but they really should have named it something like Class A/AB as that is what it behaves most like. Most of the time when we are listening to music we are only using a couple of watts if we are playing things at a moderate volume level. As a matter of fact, if your speakers are fairly efficient, you may only be using 1-3 watts 90% of the time. So, what if you could come up with an amp design that ran at pure Class A at lower to moderate levels, then switched over to Class AB when things really got going and you needed the extra power? Well, you guessed it, that is what a Class G amp does. Which explains why we think it should have been named Class A/AB! Maybe things should switch over to Class A= Awesome, Class AB= Above Average, and Class G = Great! Of course, a Class G design has to be properly implemented to sound great and is normally only found on much more expensive products. Arcam has totally nailed the implementation in the SA20! Remember when we told you it weighed in at over 20 pounds? Most of that weight comes from the huge toroidal power transformer that supports the Class G design. While the SA20 is rated at 80 watts per channel, in our testing it performed like a power house, which is quite spectacular when you consider its very modest footprint. We set up our test system for the SA20 with Arcam’s new CDS50, which is a combo CD player and streamer (a pretty cool piece by the way), connected up the the Revel Performa F208 tower speakers, using Transparent interconnects and speaker cables. We felt this would be a pretty good challenge for the SA20 as the Revel’s are a large speaker that are moderately efficient. This combo turned out to be pretty magical! The first cut up was the title track from Mark Knopfler’s Sailing To Philadelphia album. The track starts out big and full and has many intricate details. On a great system, you are presented with a huge soundstage and the Arcam did this really well, filling the room up with big, yet very warm sound. As we cranked it up, it took things getting to an incredibly loud level before we could sense any strain. We then decided to move on to something super dynamic. The When I Wake album from Rusted Root has a track called “Drum Trip”. As you can imagine, it is percussion on overdrive. This album is also very well recorded to capture the dynamics of impact after impact. This cut impressed us even more with the drums sounding like they were in the room. Kudos to the Revel/Arcam combo here for keeping up with these incredible dynamics. Going in another direction, we used the Telarc recording of “Mozart Symphony #25” in G Minor. Just like the Mark Knopfler track, this recording can have a huge soundstage with either a harsh sound to the strings if the amp/speaker combo is not right or a very sweet musical sound if things are gelling together. Needless to say the Arcam/Revel combo once again made us smile here with its very warm and sweet sound. Finally, we then put on Santana’s “Put Your Lights On” from their Supernatural album. The acoustic guitar on this cut revealed just tons of information. We got so involved in the great sound on this track that we listened to it all the way to the end. When we cranked this one up, we did reach the limits as the bass got a little out of control, but this was at a very high volume. At normal levels, it was totally effortless. All of this listening led us to one conclusion - this is a super sweet sounding amp that will please most speakers out there. You’ll be able to listen to it for hours without any fatigue and likely hear many new subtle nuances in your music that you didn't know existed before. This little amp is going to help lots of people upgrade their stereo systems. While it does not have a streamer built in, like some of its competition, it sounds super sweet, almost tube like which will make most music lovers smile! If you are looking for an upgrade to your two channel listening and want something built well from a company that has been making great sounding amps for decades, put the SA20 on your list! Not sure if the SA20 is the right fit for your system? Pop into our online chat and we will be happy to assist you. 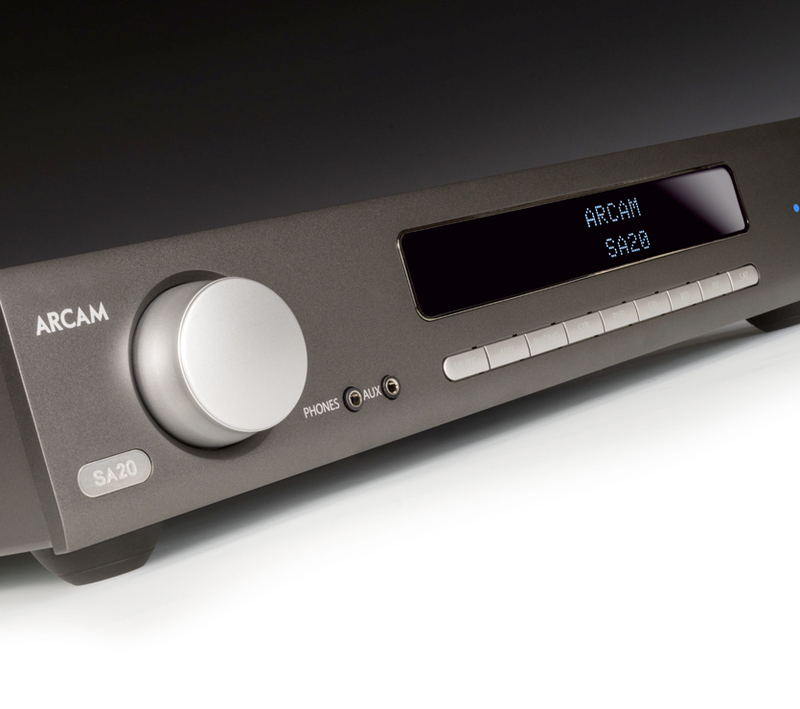 Arcam has pulled off a great implementation of Class G with the SA20. The sound is super sweet. When you pick up the SA20, you realize it has a massive power supply for such a small footprint. 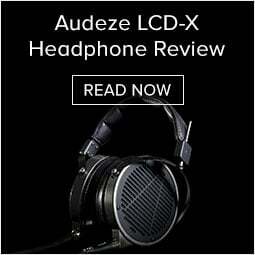 We were very impressed at its ability to push some not so easy to drive speakers effortlessly. We love the fact Arcam included a home theater bypass so you can add this great amp to most existing home theater systems, transforming the system into a high performance two channel rig!